Infographics are cool, they are an interactive image giving information about everything in one single page with immediate facts and figures. 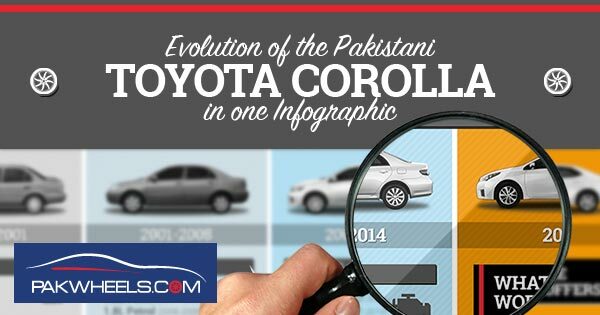 We thought that the new Corolla, perhaps the best selling car in Pakistan is around the corner, so we created an infographic detailing the evolution of Corolla in Pakistan. There has been only four models or generations (excluding facelifts) of Corolla launched in Pakistan. 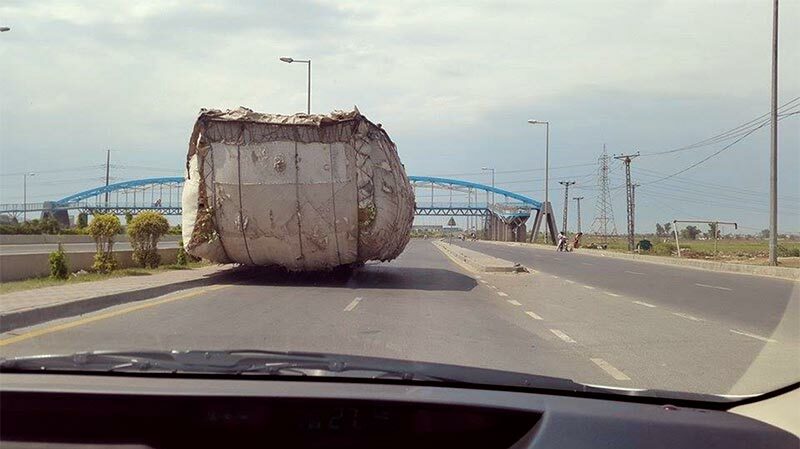 The new one has already been launched into the foriegn markets and ours is just around the corner as Indus Motors works relentlessly to strip it off all the features and safety equipment and introduce it to Pakistan. 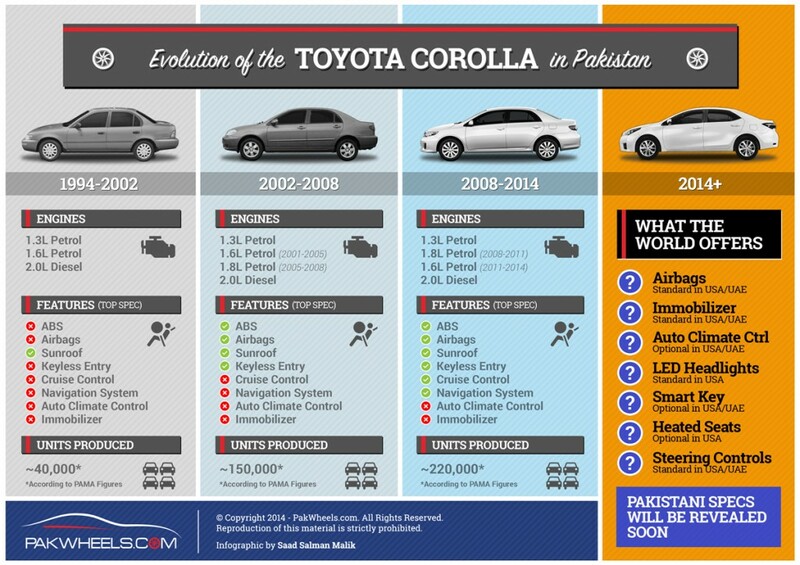 While we have already got the details about the new Corolla Altis, let’s see what features comes in Corolla’s lower range. Click on the image to view it in Hi-Res.